Here is another easy and inexpensive Christmas tree ornament idea! You will need a 5/16" x 36" wood dowel, and a roll of brown kraft paper. 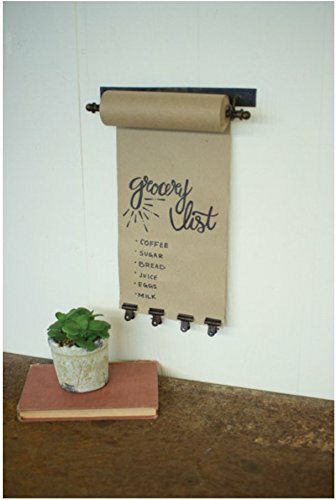 I was inspired by these brown paper note rolls or scroll type wall signs like this Kalalou Small Hanging Note ROLL. 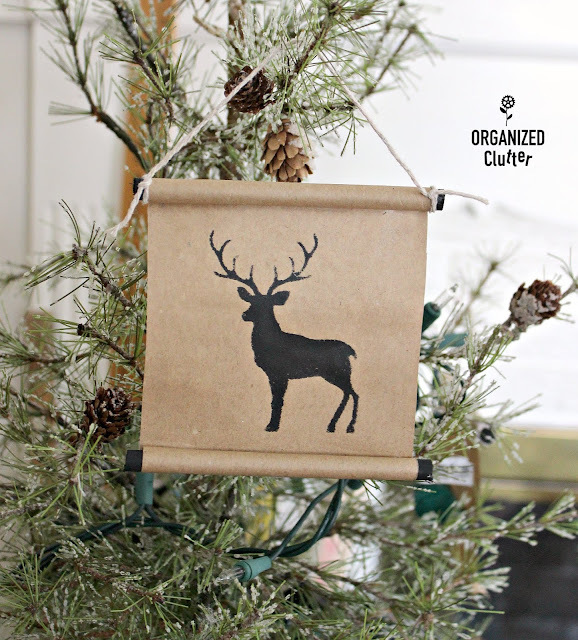 These little 4" stencils that I found at Joann Fabric have made ornament crafting so fun this season! They are not available online, but you can check store availability on this link. 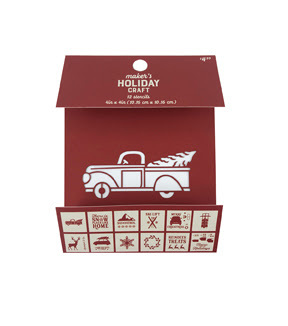 They are currently priced at $2 for the 12 pack of paper stencils. 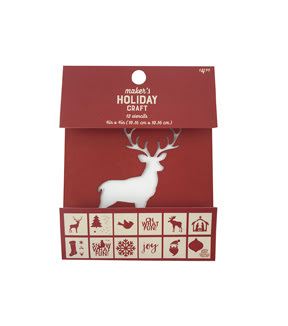 Information on this package with the deer on top can be found HERE. I used the stencil package as a template for my scroll paper. I traced the soft cardboard onto the brown kraft paper, and cut out the paper rectangles. I painted the dowel pieces with Ceramcoat black craft paint. This scroll stencil is complete. Here I centered one of my 4 1/2" dowels on the four inch wide brown paper rectangle with a deer stencil. I used a piece of clear tape to attach the dowel to the paper. Next I rolled up the scroll very carefully to keep the paper straight. 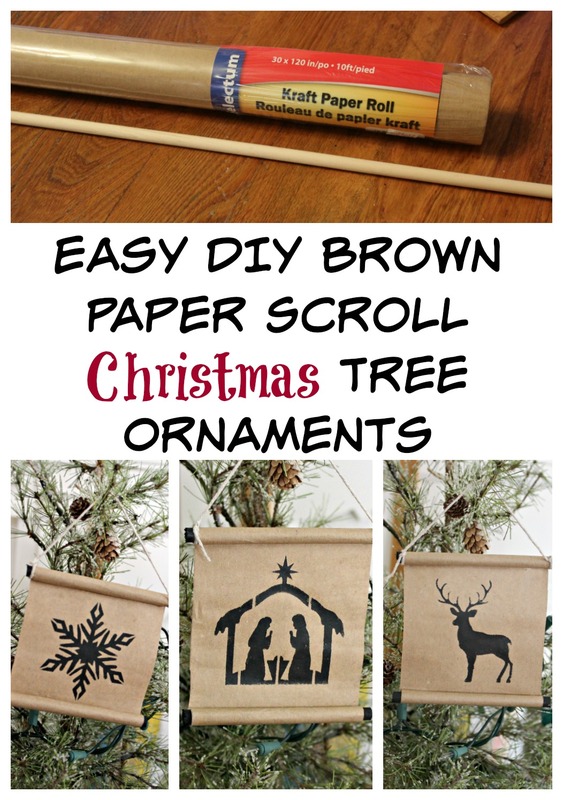 Place a book on top of your scroll until the glue sets. About 5-10 minutes. I did one side on each scroll, let it dry and then did the top dowel the same way. I then cut some string to hang the ornament. I added a little of the glue stick glue with a toothpick to the area where the top dowel meets the paper, and tied on the string. (Jute string would work too if it is thin.) The glue will keep the string in place so it won't slip off. If your scroll ornaments do not hang flat due to being rolled, roll them backwards carefully so you don't form a crease in the paper. Here is ornament number one with the Nativity! Remember any small Christmas stencils will work, if you can't find the Holiday Maker Stencils from Joann Fabric. 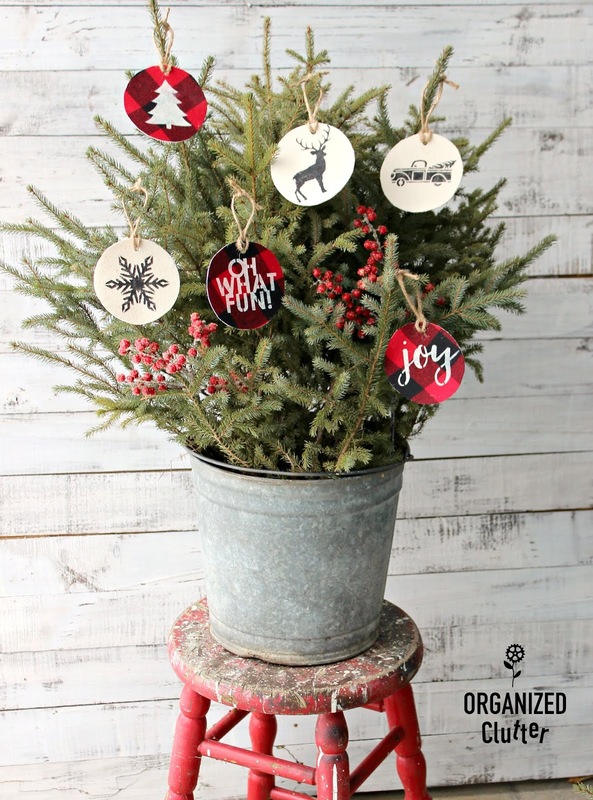 *Joanna from Gingham Gardens commented that rubber stamps could be used as well! The black silhouette is so striking against the brown paper! I love the deer on ornament number two. Ornament number three has a snowflake design. 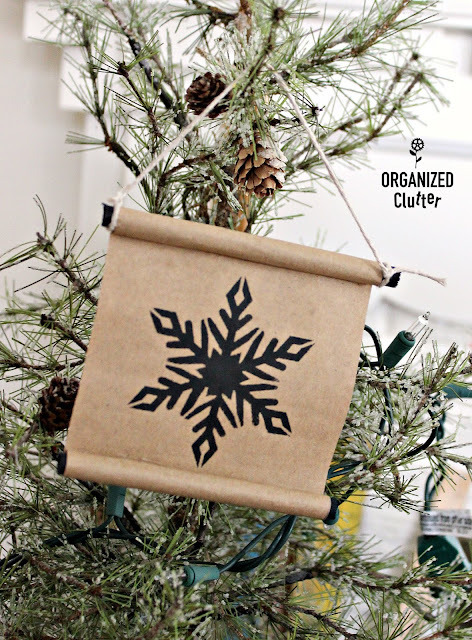 Here is an easy FABRIC stenciled ornament project. 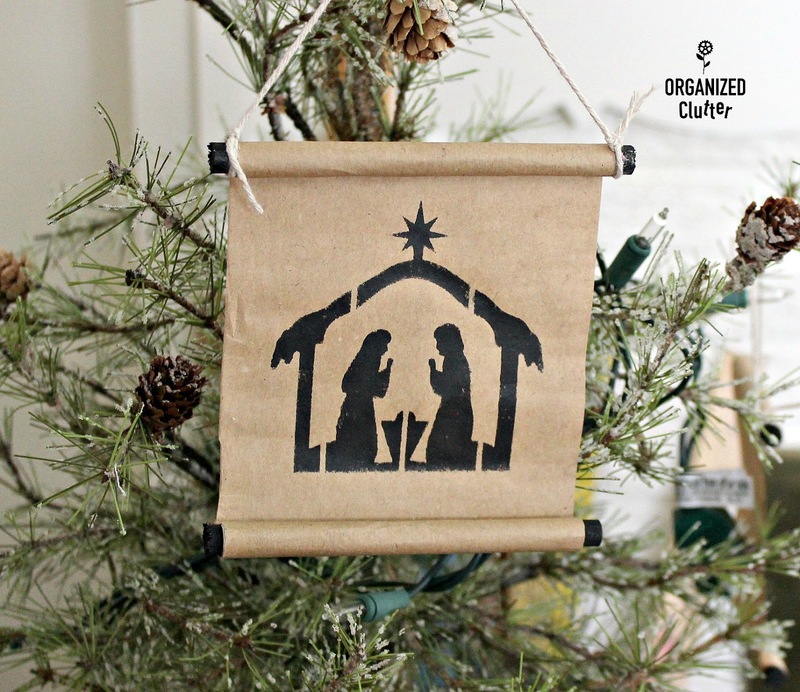 Have you finished your Christmas crafting yet? What a cute idea! Stamps would work with this too.